Mushu can be a very picky eater. To find a grain-free dog food that she likes isn’t always easy so we usually stick with what we know works. 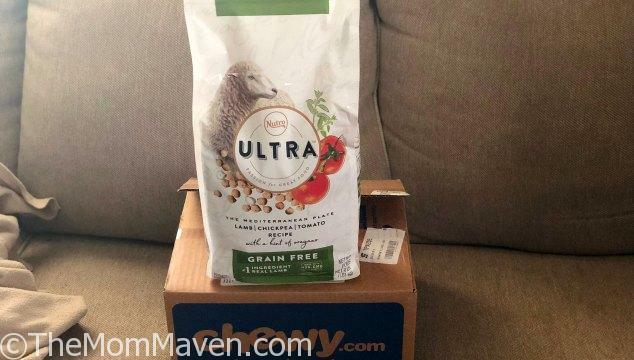 This month I received the Nutro Ultra Lamb, Chickpea & Tomato Recipe Adult Grain-Free Dry Dog Food free of charge from Chewy.com in exchange for an honest review. Mushu has been acting funny the last few weeks, spending the majority of her day in her kennel back in Jordan’s bedroom. I wonder if she senses that he will be moving out next week. Thankfully, the day the Chewy.com box arrived she was actually out on the sofa. I opened the bag of grain-free dog food and set it near her to see if I could get a reaction from her. She sniffed and sniffed at the bag but when I took a few morsels out she ignored them. We started to introduce the new food to her by adding it to her dinner along with her regular dry dog food for a few days. Then eventually the only dry food she got was the Nutro Ultra Lamb, Chickpea & Tomato Recipe Adult Grain-Free Dry Dog Food. She has been eating that ever since. She seems to like it! I’m happy to have found a second grain-free dog food that she actually likes. Each Nutro Ultra Grain-Free Dog Food recipe starts with real meat, poultry, or fish as the very first ingredient, followed by real vegetables or fruits, plus a hint of herbs! Every menu-inspired recipe not only tastes great, but it is crafted to help your dog thrive with nutrition that supports radiant skin and coat, good digestion, healthy teeth and bones, strong muscles and a lean body. 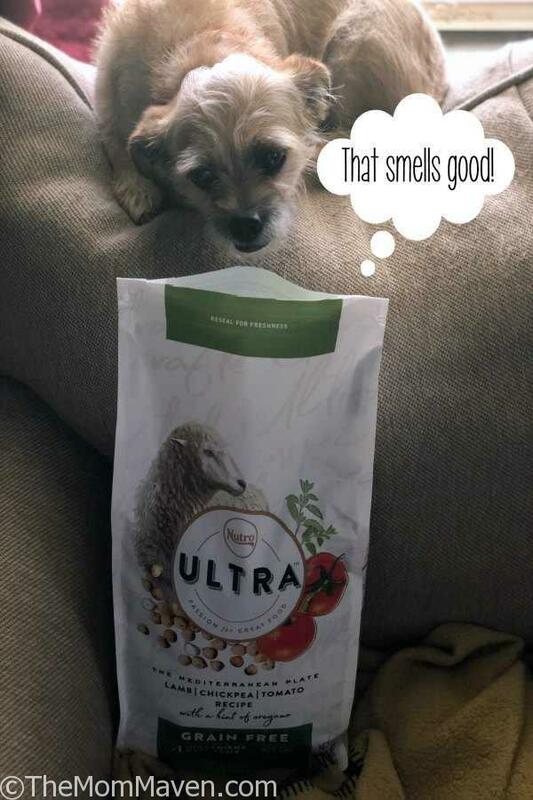 Bring together unique ingredients and flavors to make your pet’s mealtime an extraordinary moment with Nutro Ultra Dog Food. I love that it is made with no chicken by-product meal, corn, wheat, soy, artificial flavor or preservatives because your furbaby deserves only the best ingredients. I have added this dog food to the approved list of foods for Mushu to eat. Due to her sensitive constitution, we need to be careful.